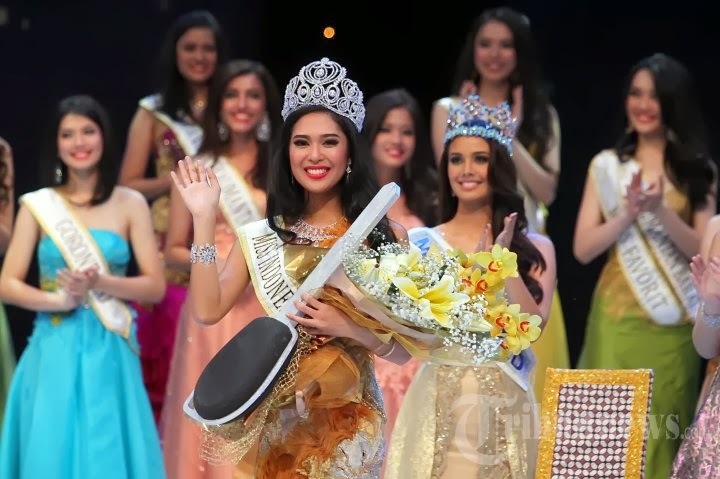 22 year old Maria Asteria Sastrayu Rahajeng representing West Suwalesi was crowned as Miss Indonesia 2014 during the annual event held at the D2 Hall of Jakarta International Expo last February 17. 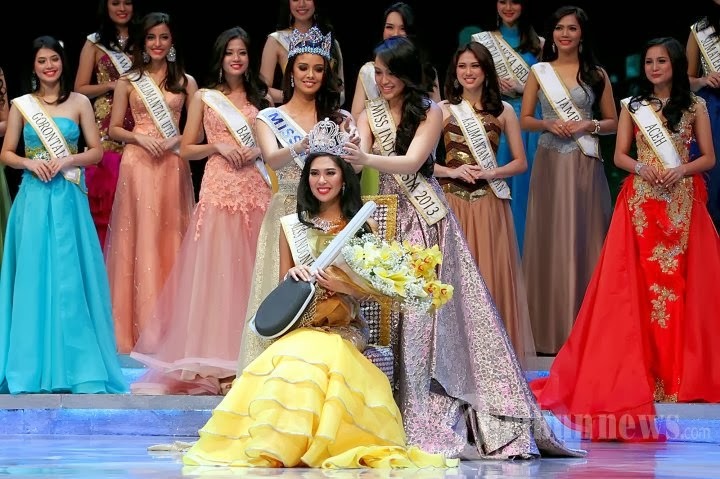 She was crowned by the reigning Miss World 2013 Megan Lynne Young and outgoing Miss Indonesia Vania Larissa. Standing 1.65m tall, Maria Asteria holds a degree from the University of Pelita Harapan, and was part of the Indonesian delegation to the APEC conference in Bali. She will now be the official representative of Indonesia in Miss World 2014 in London, England on November. Ellen Rachel Aragay was the 1st run-up and Hanna Sugialam was the 2nd run-up.